whose servers are located in Germany and Ireland. We invite you to read the present Conditions of Use carefully, which govern navigation on this site. Any connection to this site is subject to respect of the present Conditions of Use, which the Michelin Corporate Foundation reserves the right to modify or update at any time. The Michelin Corporate Foundation makes every effort to keep the Site accessible, without being under any obligation to do so. It is specified that, for the purposes of maintenance, update or for any other reason, notably of a technical or legal nature, access to the Site will be able to be modulated or even interrupted. The Michelin Corporate Foundation is in no way responsible for these interruptions and the consequences which they may have for you. You agree to abstain from accessing the Site in a fraudulent manner. The use of certain services is subject to prior registration, for which you must complete a form. This registration allows you to have an account with a personal password. This password is requested of you to connect to said service and, as such, must remain strictly confidential. Each Internet user remains completely responsible for use of his logins and passwords, which he agrees to keep secret and to disclose to no third parties in any manner whatsoever. To the extent that you provide them to third parties, you acknowledge that you remain solely responsible for the use that is made of them. The Michelin Corporate Foundation may not have its liability engaged due to use of these identifiers by third parties. The content (notably data, information, illustrations, logos, marques, elements created for the site, etc.) that appears or is available on the present website is protected by copyrights and other intellectual property rights and is the exclusive property of the Michelin Corporate Foundation. Any copy, reproduction, representation, adaptation, alteration, modification, diffusion, in part or in whole, of the content on the website of the Michelin Corporate Foundation, by any process at all, is unlawful with the exception of a single copy, on a single computer and reserved for the exclusive, private use of the copier. Items presented on this site are subject to modification without prior notice and are made available without any guarantee of any kind, express or tacit, and may not result in any right to compensation. The information and images presented on the website are protected by copyright © 2015 the Michelin Corporate Foundation. The logos are registered trademarks. The information diffused on the present site is provided “as-is” without any express or tacit guarantee of any kind. 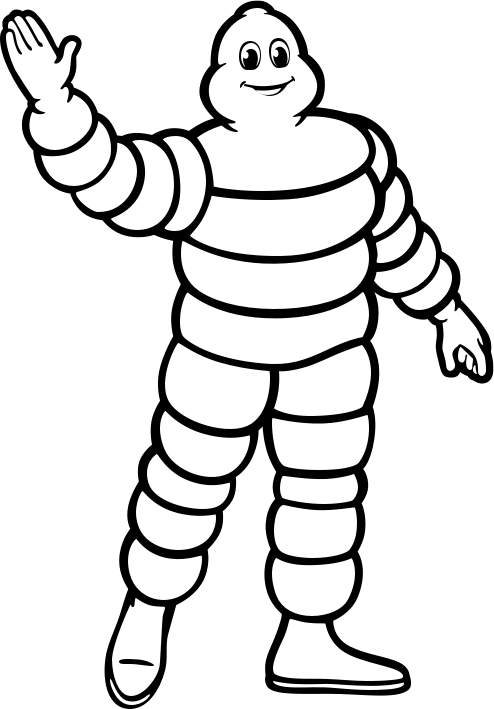 Michelin reserves the right to modify or correct the content of its site at any time, without prior notice. The Michelin Corporate Foundation may not be held responsible in case of contamination of the IT equipment of Internet users resulting from the spread of a virus or other IT infections. It is the responsibility of the user of this site to take all appropriate measures to protect his own data and/or software from contamination by eventual viruses circulating on the Internet. Under no circumstances may be Michelin Foundation, its employees, suppliers or partners mentioned in the site be held responsible, under action taken regarding contractual liability, criminal liability or any other action, for direct or indirect losses, incidental or related, or of any kind at all or for any losses, notably of a financial or commercial nature, resulting from use of the site or any information obtained on the site. The user is informed that personal information is collected within the framework of this site and it is processed electronically in compliance with the law on Information and Freedoms of 6 January 1978 modified relative to information systems, files and freedoms and to the processing of personal data. Please refer to the policy of Michelin group regarding confidentiality and the protection of personal information, which is available on the “Politique de confidentialité” (Policy on confidentiality) page. The Site may contain links to other sites. We inform you that the Michelin Corporate Foundation does not share your personal information with these sites. We inform you that when you leave our Site, you may be subject to other practices related to the protection of personal information, over which the Michelin Corporate Foundation has no control and do not engage its liability. To correspond with the Michelin Foundation by email, you must complete the email correspondence forms proposed on the site. The responses provided by the Michelin Foundation to emails, as well as access to the site and to the content may not be assimilated to or represent proof of exercising advertising, promotional or commercial activities in the territory of the country where the Internet user is located. Any dispute relative to the site or to the present conditions of use is governed in accordance with French legislation.